Keep a cool head and keep looking cool! Handmade 100% Linen 8 Piece Newsboy Cap. Lined. Perfect light weight breathable linen material for Spring/Summer, perfect for warmer days and holiday environments. The cap contains a cotton lining. 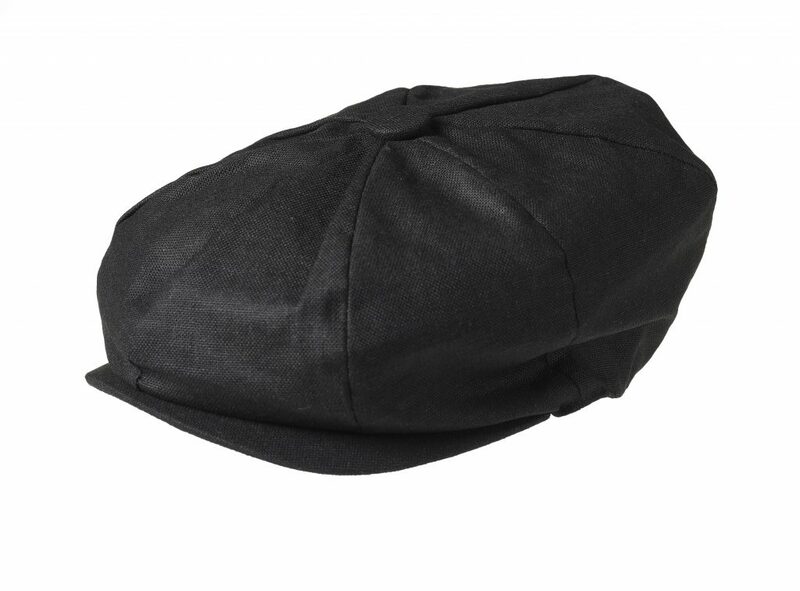 This linen version of our classic 8 piece Newsboy has an elasticated headband at the rear allowing for variety of size. The cap size ranges between medium and X-Large due to this elasticity. This cap allows your head to breath and is perfect for maintaining the classic look throughout the heat and the warmest environments. An essential addition to the Peaky wardrobe. Especially for looking cool, staying cool and being cool. As with all of our orders if you are not totally happy with your order we will happily exchange or refund your purchase. No problems. SKU: 2100 LN BK. Categories: Linen, Newsboys. 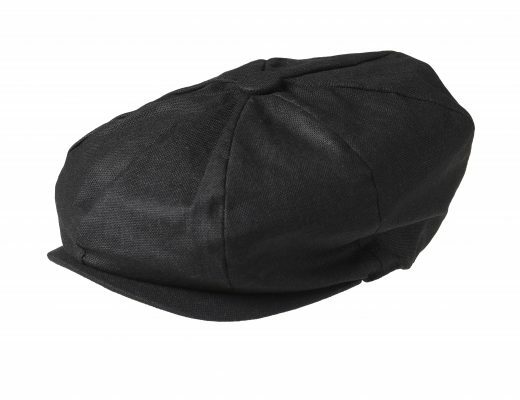 Tag: linen newsboy cap.